Converting decibels to miliwatts is a crucial skill when you deal with wireless networks. In this short article I will show how to do that fast and painlessly. One of the first thing during designing campus network is an IP addressation scheme and its assigning at Access Layer. For handing out IP addresses responsible is DHCP protocol, proper deployment of DHCP server in large environment can spare us a lot of trouble and issues. 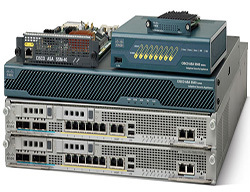 NX-OS that we may come across on Cisco Nexus switches provide very interesting feature which is called FabricPath. FabricPath has evolved from TRILL, consists in “layer 2 routing” and definitely is one od the most important feature in modern datacenter. PID stands for “process ID” that have got every process in the system and thanks to this can be easily identified. This identification is necessary when we are going to send “signals” to a given process. Everything is going seamlessly regarding redistribution if we have only one point of redistribution, but when we add another router on the edge of 2 routing protocols, for instance in order to provide “high availability” by adding another point of failure to get redundancy, then our network is exposed to very inefficient sub-optimal routing. Since ASDM and “wizards” are being used, knowing Command Line Interface on ASA to configure its seems to be unnecessary, but knowledge about what particular commands are responsible for and how they work is demanding if you will have to troubleshoot SSL. In this topic you will se how to configure Remote Access with SSL and VPN.with command line. There is no doubt, on the edge of the network some kind of the redundancy is always desireable.In this article I am going to discuss 2 examples to provide redundancy. First one: there is ONE router with 2 WAN connections leading to different ISPs and second one we have TWO switches with 2 WAN connections leading to two different ISPs. Traditional access permissions for files and folders in Linux distributions enables us control of granting access to files/folders and what users can do with them. Not complicated, easy to understand and crucial to working with a file system. Simple RSA Private/Public key is not enough to provide secure connection between Client and Server. How do we really know that the server we want connect to is actually correct server, not a bogus one ? Private Key might be stolen and somebody else can easily pretend the server. 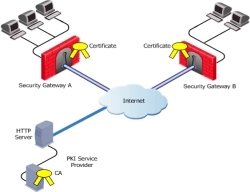 3rd party Certificate Authority and Public Key Infrastructure is the answer. Which one should we prefer over the other & what problems may we encounter on during everyday utilization. There are two kinds of remote access which you may use in order to provide remote access for teleworkers in your company, namely IPSec and SSL. Both of them are reliable, secure and work very well but … there is always the catch. Based on one simple example of live, let me familiar you with advantages of IPSec and SSL and reveal their downsides. 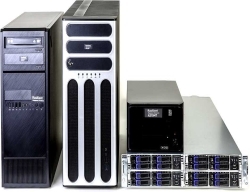 Data access method determines which way data exchange between compute system (host) and storage will be going through. There are 3 ways, completely different, with utilization of different mechanism and protocols. File, Block and Object level Storage access characterizes with different speed, reliability and efficiency. Moreover, they require completely different appliances, but sometimes they can be “merged” into one single SAN. After the GRUB finds the kernel, continues the boot process with the first and most important, systemd process. Systemd takes part nearly in every activity in Linux and nothing happend without its knowledge. Before OSPF will start to work seamlessly, one very important thing has to be accomplished, neighbor relationship namely. Every router in the network has to pass through a few stages of establishing relationships process, before network reach full convergence. What exactly happens behind the scene during establishing of relationship ? In linux environment there is no possibilty not encounter on archives or compresed files. This article shows what is a difference between different types and how to handle and use them.